According to research firm Conning, Inc., global insurance mergers and acquisitions slowed in all sectors in 2016. That’s based on a new study entitled, “Global Insurer Mergers & Acquisitions: Activity Slows, but Pressures Remain,” available from the Hartford, Connecticut-based research and consulting firm. “Mergers and acquisitions activity in 2016 was marked by a select number of property-casualty insurers playing offense and defense, as the life industry dropped to just a quarter of its 2015 activities,” added Steve Webersen, Head of Insurance Research, at Conning. 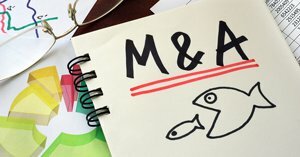 “Some of the key themes we analyzed in 2016 property-casualty acquisition activity included continued Japanese pursuit of established and global underwriting platforms, serial acquirers continuing their builds-outs, run-off acquisitions, and the continued focus on property-casualty specialty assets,” he said. Bottom line for NAPA Members? If a company you represent was involved in a merger or acquisition last year, continuing watching for coverage, pricing, or solvency implications that might affect you or your clients in the months ahead. Good luck! The study is available for purchase from Conning Insurance Research.